After raising more than $2 billion, the Silicon Valley fuel cell unicorn makes public offering plans official—at a yet to be determined price range. Bloom Energy, the Silicon Valley fuel cell startup that’s raised about $2 billion in debt and equity, has finally pulled the trigger on its plans to go public. But it’s not saying how much it hopes to raise yet. The move confirms reports from The Wall Street Journal in March that Bloom may be planning a public offering as early as May. But Tuesday’s filing states that “the number of shares to be offered and the price range for the proposed offering have not been determined,” leaving uncertain how much money Bloom hopes to raise. Tuesday’s S-1 filing represents a milestone for Bloom, one of Silicon Valley’s rare clean technology “unicorns,” or companies that have raised more than $1 billion without going public or finding a buyer. The company has been rumored to be seeking an IPO for years, and in 2016 filed a confidential IPO, later withdrawn, that offered little information, beyond the fact that Bloom’s revenues were less than $1 billion a year. Bloom reported a loss of $263 million on revenues of $376 million in 2017, compared to a 2016 loss of $279.6 million on revenues of $208.5 million in 2016. 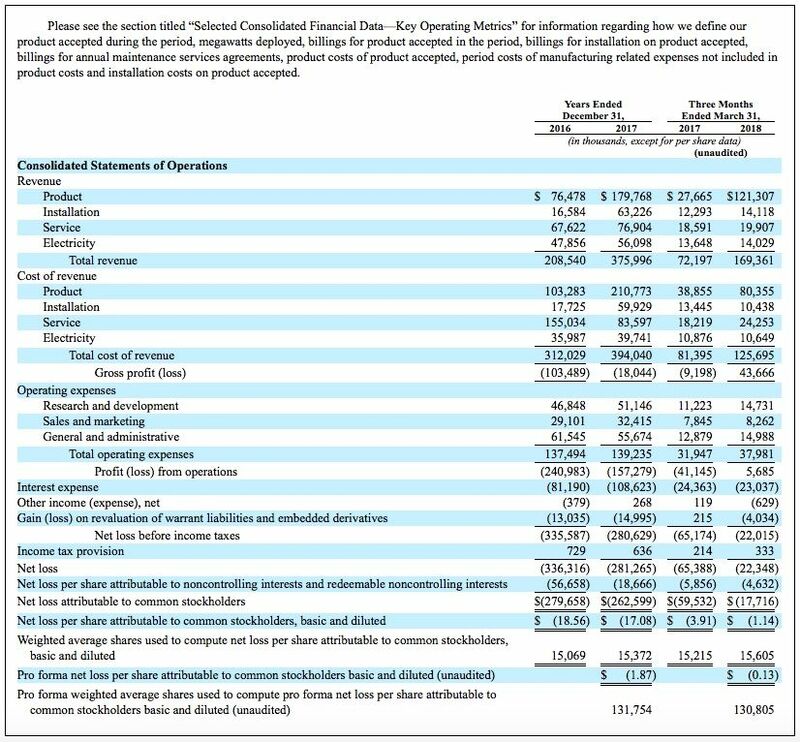 In the first three months of 2018, it reported a net loss of $17.7 million on revenues of $169.4 million, compared to a net loss of $59.5 million on revenues of $72.2 million in the same quarter last year. These losses equate to an unaudited, pro forma net loss per share of $1.87 for fiscal year 2017, based on 131,754 pro forma weighted average shares for the period, and 13 cents per share for the first quarter of 2018, based on 130,805 pro forma weighted average shares. The Wall Street Journal noted in March that Bloom’s decision to file its IPO now was driven by February’s renewal of federal tax credits for fuel cells, similar to those given to solar and wind power systems. Tax incentives for fuel cells were left out of a broader reauthorization in 2015. Bloom saw a big drop in revenues after that decision, but expects a profitable year and a significant bump in revenue in 2018 with their restoration. Bloom's S-1 reports that it sold 622 of its 100-kilowatt systems in 2017, slightly less than the 687 it sold in the previous year, but that first-quarter 2018 sales of 166 units showed strong growth from the 119 sold in the same quarter last year. But its product costs, as measured per kilowatt of fuel cell capacity, have fallen from $5,086 in the first quarter of 2016 to $3,855 in the first quarter of 2018, while installation costs have fallen from $1,280 to $526 per kilowatt over the same period of time. The company had raised just shy of $1.1 billion as of 2013. Its most high-profile investor is Kleiner Perkins Caufield Byers, which took its first stake in 2002, six years before the company shipped its first Bloom Boxes to its first customer and fellow KPCB portfolio company, Google. Other investors include New Enterprise Associates, Goldman Sachs, Credit Suisse Group, Morgan Stanley, GSV Capital, Apex Venture Partners, Mobius Venture Capital, Madrone Capital and SunBridge Partners. 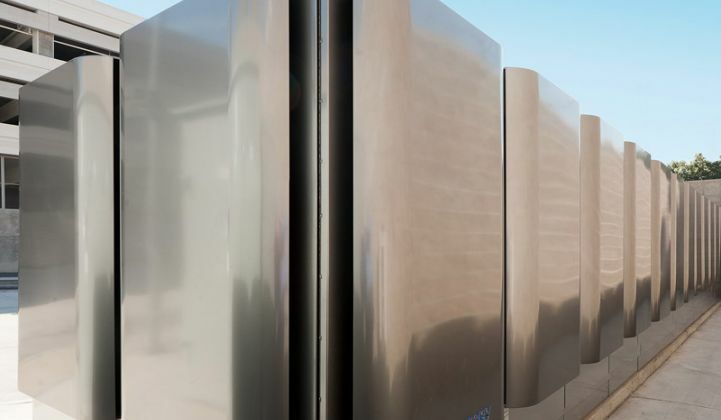 Bloom Energy has deployed most of its fuel cells in California, where the state’s Self-Generation Incentive Program helped cover a large portion of the upfront cost of its fuel cells along with batteries, thermal energy storage and other distributed energy resources. Bloom raised $50 million from the New Zealand Superannuation Fund in 2014 and another $130 million from unnamed sources in 2015. 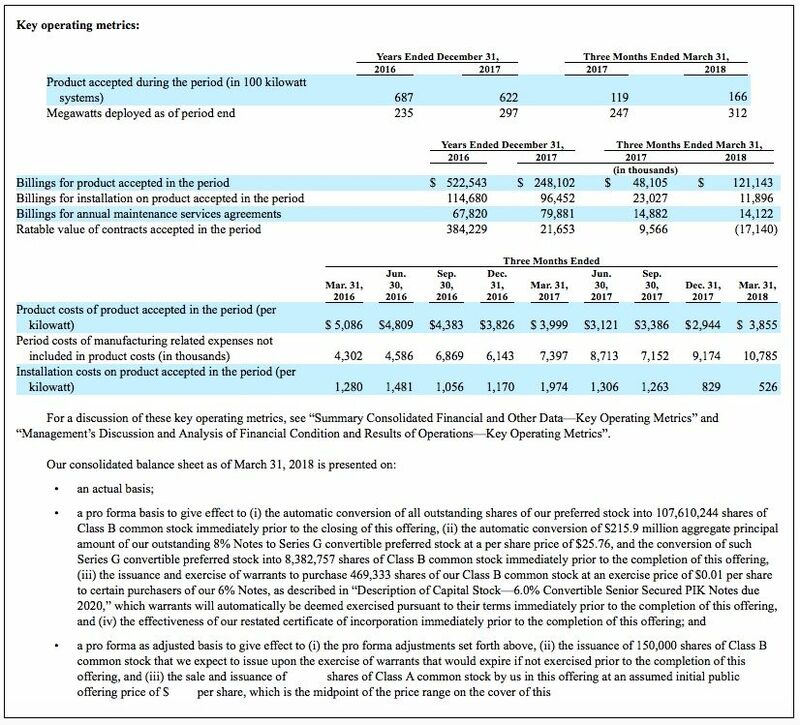 Meanwhile, Bloom was lining up financing with some of its big utility clients, including Exelon in 2014, and its subsidiary Constellation Energy, as well as Southern Company subsidiary Power Secure in 2016. In August, those partners announced a 37-megawatt deal with data center operator Equinix, becoming the country’s largest fuel cell deployment to date. The previous record-holder, Bloom’s 30-megawatt project for Delmarva Public Service, a subsidiary of Exelon utility Pepco, has had a mixed track record. Public opposition emerged over the solid-oxide fuel cell’s potential for contaminating nearby areas with sulfur-tainted byproducts, as well as concerns over the cost of the power delivered. J.P. Morgan and Morgan Stanley are acting as joint lead book-running managers for Bloom’s IPO, while Credit Suisse, KeyBanc Capital Markets and BofA Merrill Lynch are acting as book-running managers and Baird, Cowen, HSBC, Oppenheimer & Co. and Raymond James are acting as co-managers.